Al Ansar Medina (SBL) agreed terms with 21-year old American forward Tony Anderson II (206-104kg-97, college: Southeast Missouri State). 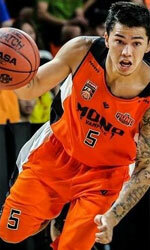 He played last summer at Luang in Thailand TBSL. In 16 games he had very impressive stats: 18.8ppg, 9.1rpg, 1.9apg and 1.9spg (in top 4). 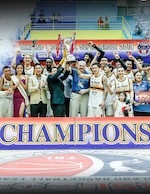 Anderson II helped his team to make it to the PBL Semifinals in 2017. He has played also professionally in NABL (Ohio Bootleggers). Anderson II attended Southeast Missouri State until 2016 and it will be his third season as a professional player.